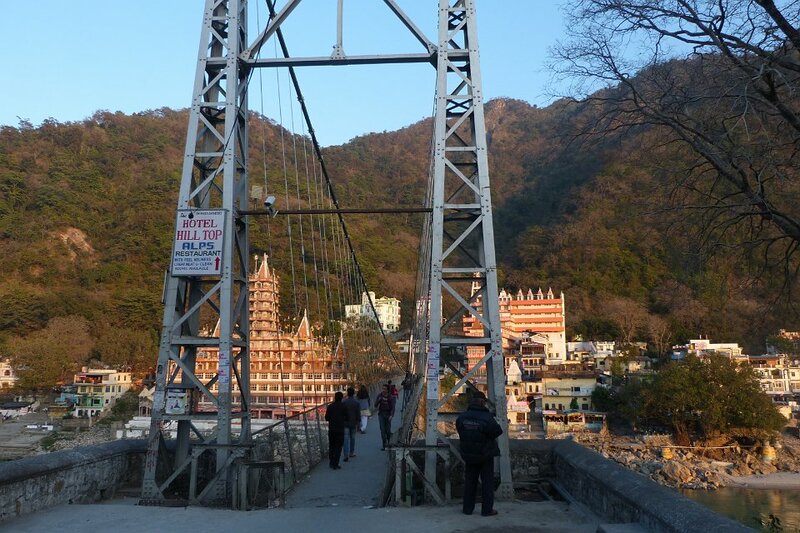 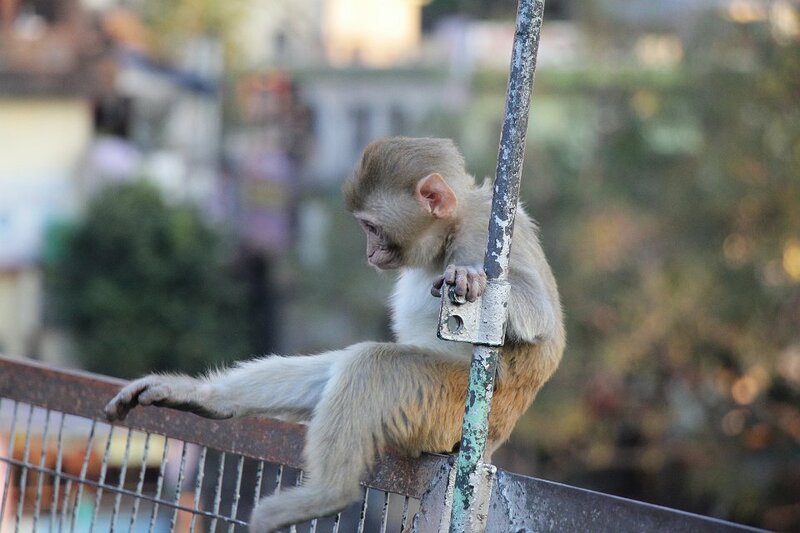 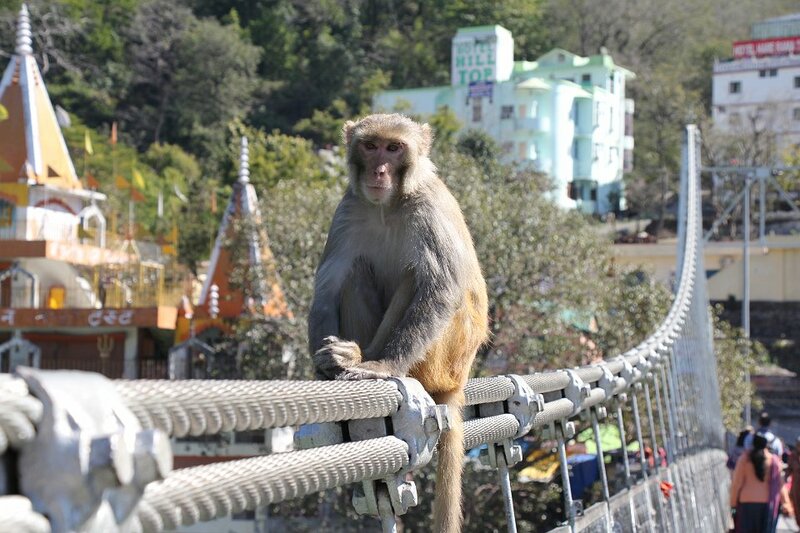 Rishikesh is cute, full of hippy types and businesses trying to get their money, if they have any. 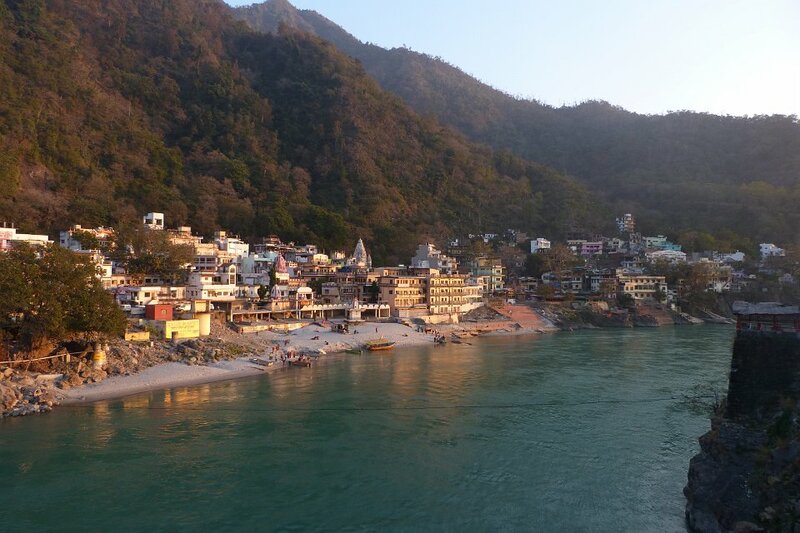 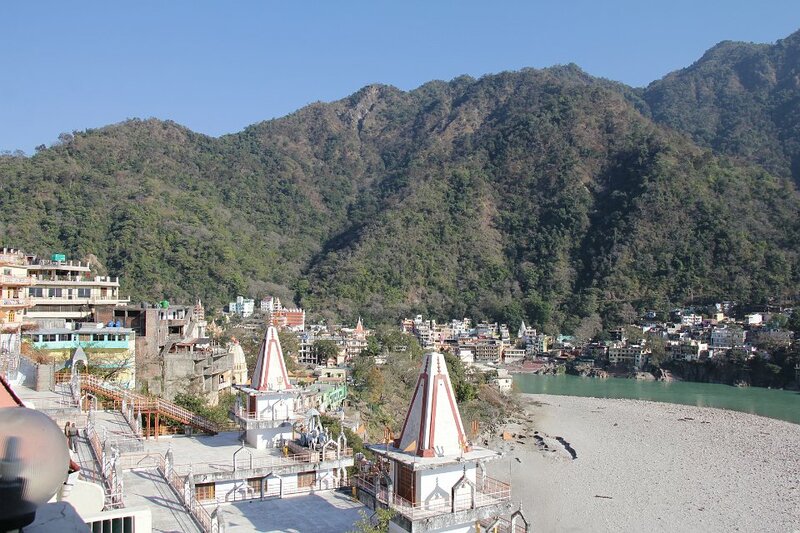 Nice to see, though, with the temples along the Ganga -- which looks clean here. 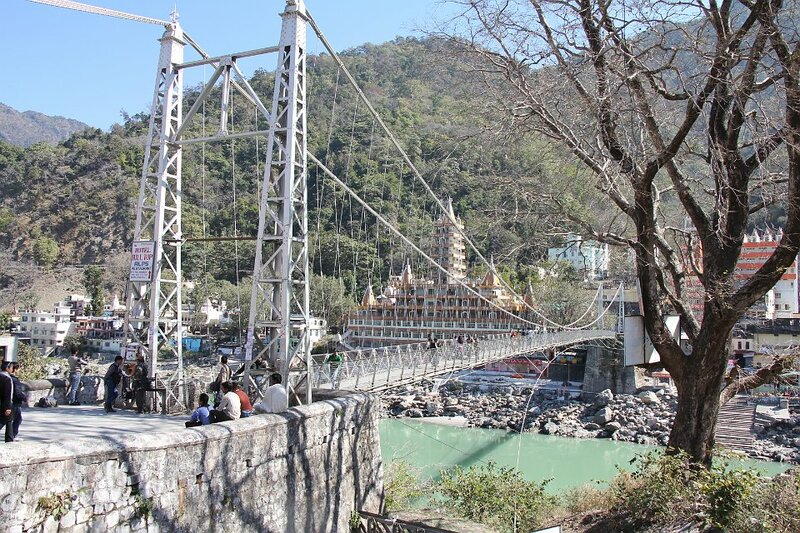 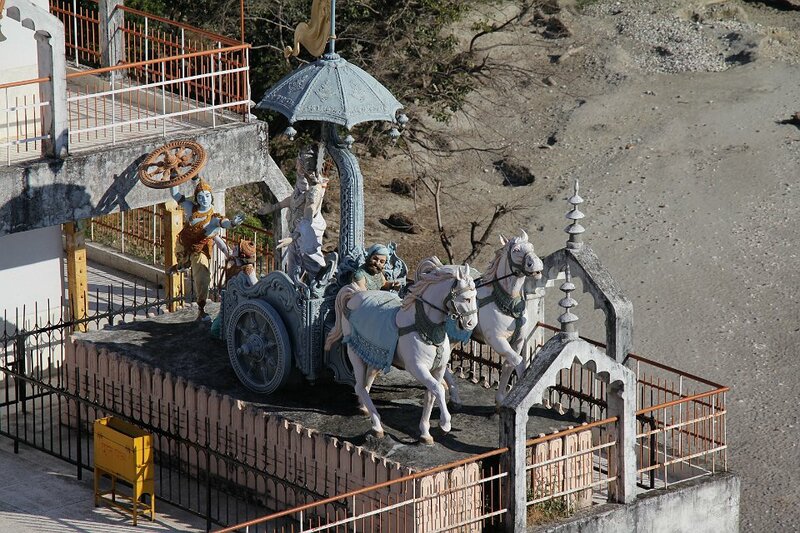 1 The Ram Jhula is on of two pedestrian bridges (people, monkeys, cows and motorcycles only) across the Ganga at Rishikesh. 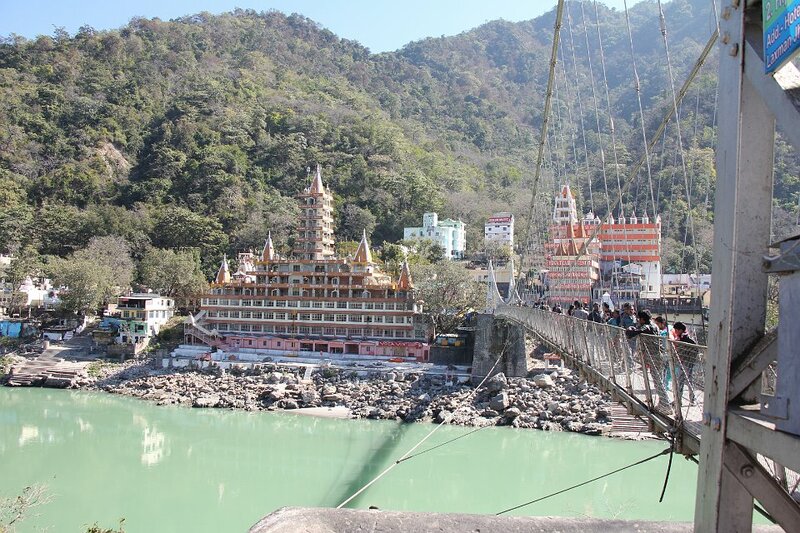 2 Huge ashram on northern side. 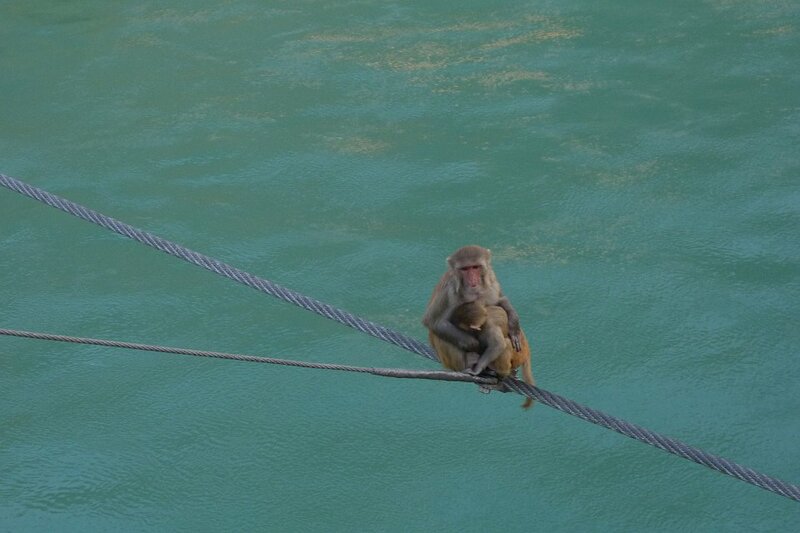 3 Lots of monkeys on the bridgs. 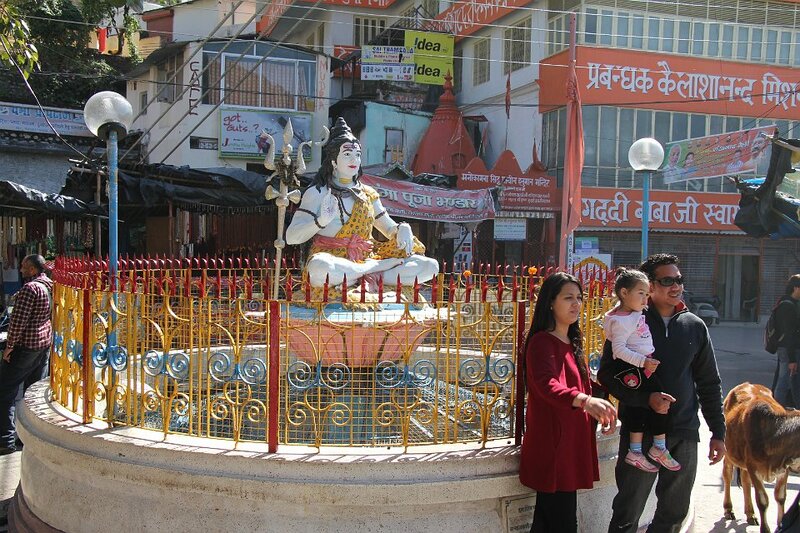 4 Shiva fountain on northern side of bridge. 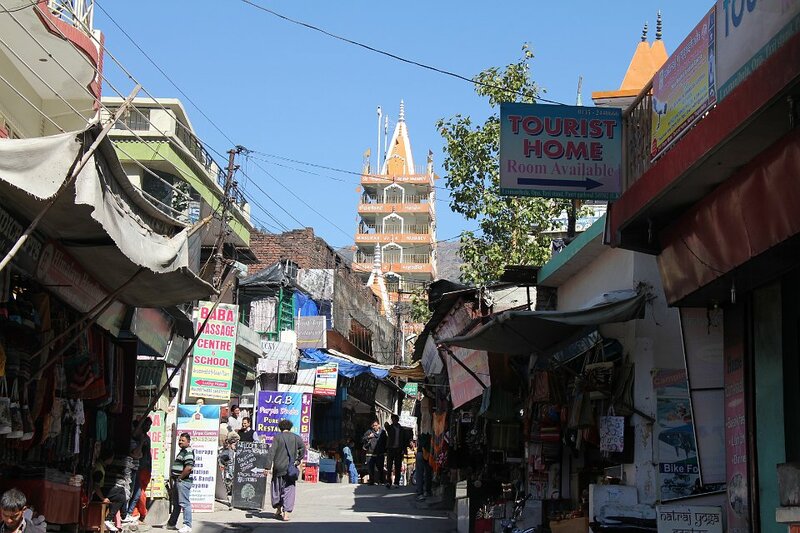 5 The street on the northern side (like the one in the south) is a long string of shops and ashrams, mostly shops. 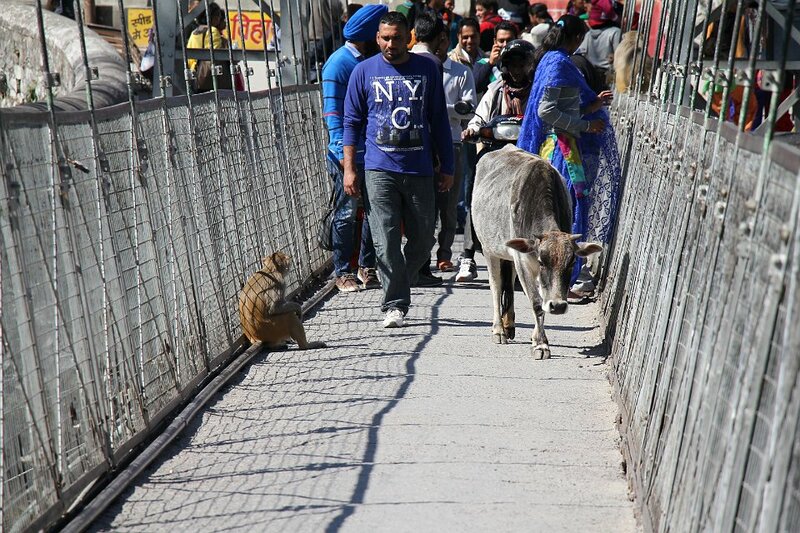 6 Monkey, cow and even some people on the bridge. 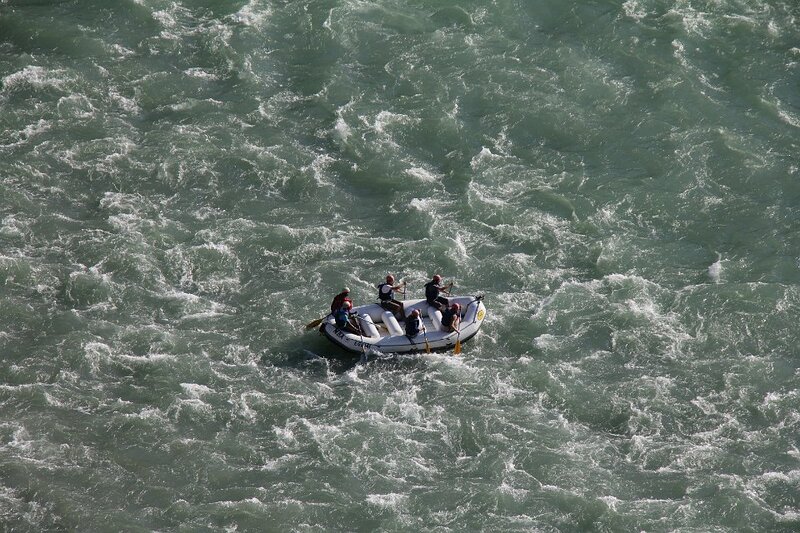 7 White-water rafting on the Ganga below our hotel window. 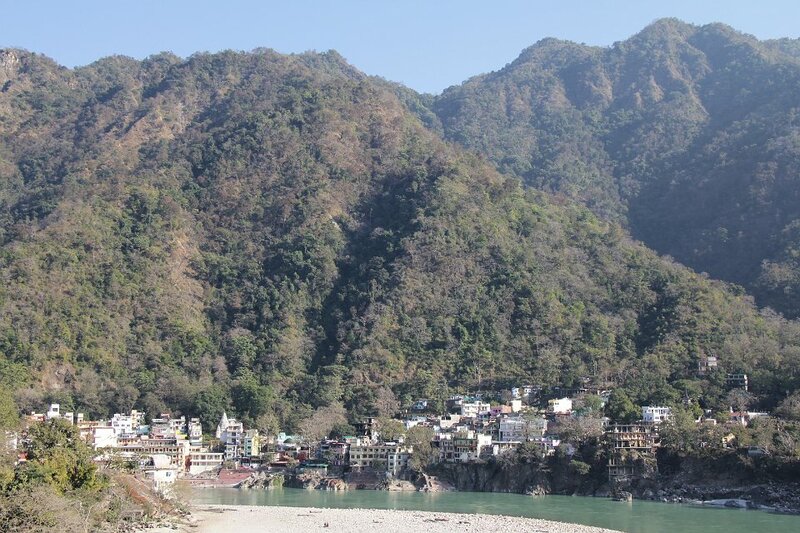 8 Looking from our hotel towards Rishikesh and the hills behind it. 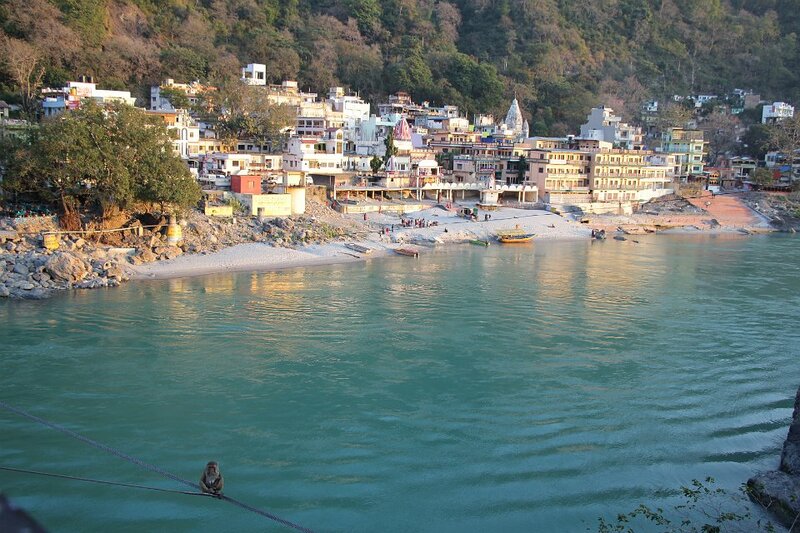 13 The water here is cold. 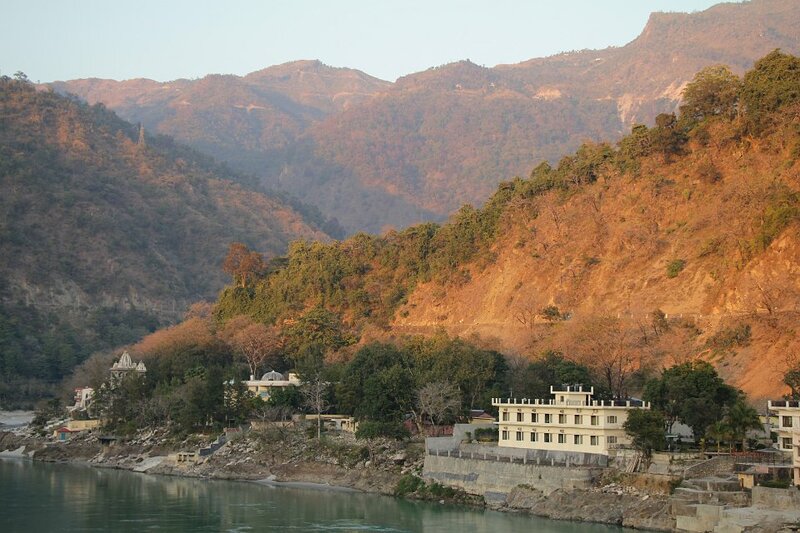 15 Looking upstream, where we will drive tomorrow.